In November, the provincial assembly had adopted the law unanimously, outlawing forced conversion and marriage of minors. Every year about a thousand girls and young women are forced to repudiate their religion. Thirteen lawmakers who drafted the bill received death threats. 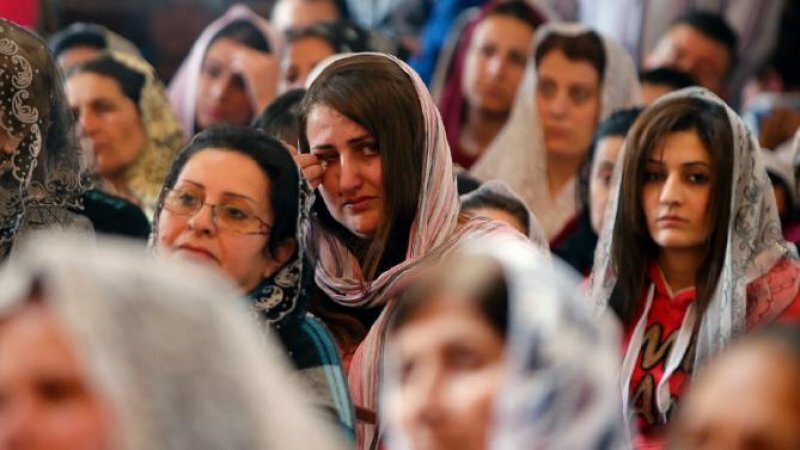 Lahore (AsiaNews) - The Government of Sindh Province (southeastern Pakistan) has rejected a law that punishes forced conversions with jail time, including life imprisonment. Welcomed by Pakistan’s religious minorities as a real breakthrough to ensure full freedom of belief and bulwark against forced conversions, the bill was adopted unanimously by the provincial assembly last November. Speaking to AsiaNews, Christian and Hindu activists expressed "great regret" and bemoan the dangerous step backwards. "We can do nothing to prevent kidnappings and conversions of our underage daughters,” said Mukhee Lal Chand, president of the Hindu General Panchayat (Assembly) in Jacobabad District. “This is really an injustice. We really needed this law”. Forced conversion to Islam, especially of girls, is a real scourge among Pakistan’s eight million Hindus. According to a report by Asian Human Rights Commission, at least 1,000 Pakistani girls are forced into Muslim marriages and made to convert to Islam annually. Last week, Sindh Governor Saeeduzzaman Siddiqi rejected the Sindh Minorities Rights Commission Bill. Nand Kumar, a Muslim Member of the Sindh Assembly, had proposed the bill. Under the new piece of legislation, anyone convicted of forced conversion would have to serve five years or life in prison. Forced conversion is common in Islamic marriages with the non-Muslim bride compelled to embrace her husband’s religion. In the case of minors, the law would have required that no person should be deemed to have changed his or her religion until they attained the age of maturity, namely 18 years. After the law’s adoption, Islamist parties criticised it as "anti-Islamic" and demanded its immediate repeal. Senator Siraj ul Haq, a leader with the Jamaat-e-Islami, slammed the legislation as "an attempt to create unrest between Muslims and minorities." Thirteen lawmakers involved in drafting the bill, including three ministers, received death threats. For Peter Jacob, a Catholic who heads the Centre for Social Justice, the rejection of the law goes against freedom of religion. “We urge the Sindh Government to stay focused on social divisions,” he said. At the same time, “we ask for the support of the Pakistan Peoples Party in government. Those protesting have neither studied their religion, nor the Constitution of Pakistan."